A team of researchers from the Institute of Space Sciences (IEEC-CSIC) at Universitat Autònoma de Barcelona has discovered, for the first time, a delta Scuti pulsating star that hosts a hot giant transiting planet called WASP-33 (also known as HD15082) -hotter, more massive than the Sun (1.5 Msun) and located at a distance of 378 light years dsitant, in the constellation of Andromeda. WASP-33b hosts a giant planet, WASP-33b, that was detected in 2006 through the transiting method. The planet's mass is four times the mass of Jupiter and it orbits the star at such a high speed that it only takes 1.2 days to complete its orbit. 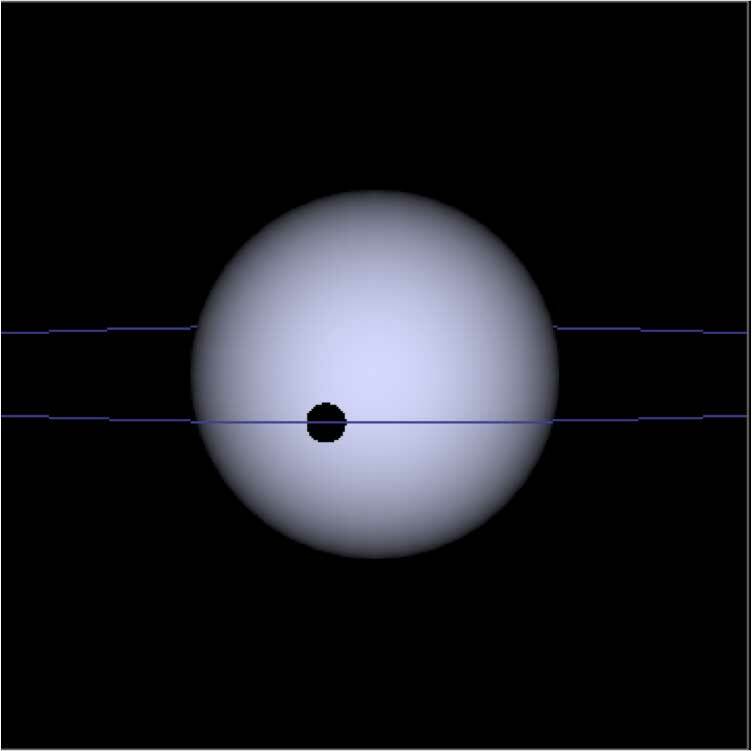 This very short orbital period indicates its extreme proximity to the star, 0.02 astronomical units (AU) when Mercury, the closest planet to the Sun, is at 0.39 AU. This planet is quite peculiar because it has a retrograde orbit and, even more so, its orbit is quite inclined in angle respect to the star's equator. The study also posits that the star's pulsations could be caused by the presence of the giant planet, something never seen before in any other planetary system. A small periodic signal, visible in the overall signal during the transit of the planet, called the attention of the researchers and through a thorough study, the pulsating modes of the star were determined and their possible relationship with the planet. The WASP-33 system represents a landmark in the world of exoplanets since it may provide vital information on pulsations modes that occur in stars, the effects of tides between stars and planets and the dynamical evolution of planetary systems. The Daily Galaxy via the Universitat Autònoma de Barcelona and AlphaGalileo.